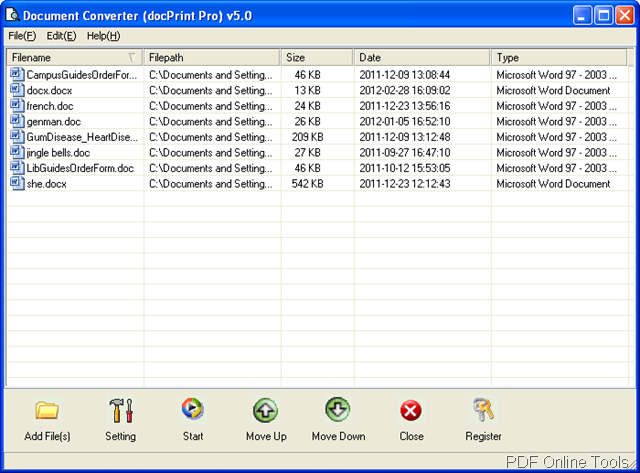 Document Converter is the professional version of VeryPDF Document Printer which contains two kinds of virtual printer: docPrint and docPrint PDF Driver. 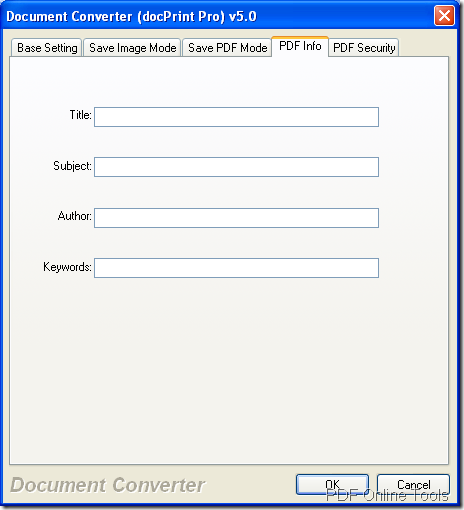 This Pro version—Document Converter contains GUI and command line applications inside and they can all convert varieties of printable documents to PDF or some kinds of image formats and set parameters for the target file. This article will show you how to use this application by GUI way and command line way. First of all, please download the application via clicking here. Only by following the setup wizard, you will be easily fulfill the installation task. Click the button to open file picker window and choose document (s) in it. Click File (F)—Add Files to open the file picker window. Click Insert button to open file picker window. 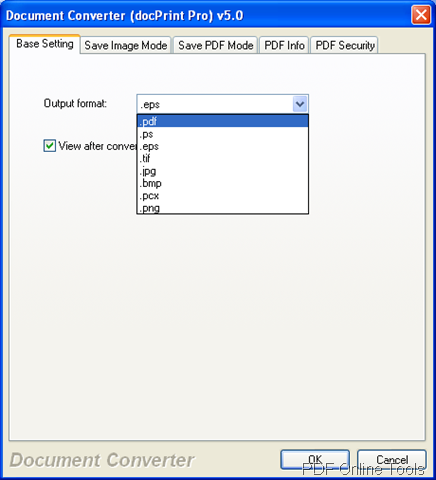 Click File (F)—Add Directory to choose the documents in some folder, which is designed for batch conversion. Please click button to open the setting window which contains five tabs. Please see Basic Setting tab in Figure 2. To convert DOC to PDF document, you need to choose the output format as .pdf in Output format dropdown list. If you want to view the target file after conversion, please check the option View after conversion. In Save Image Mode tab shown in Figure 3, you are able to set the image color depth as 1, 8 or 24-bit in Image Color Depth dropdown list. 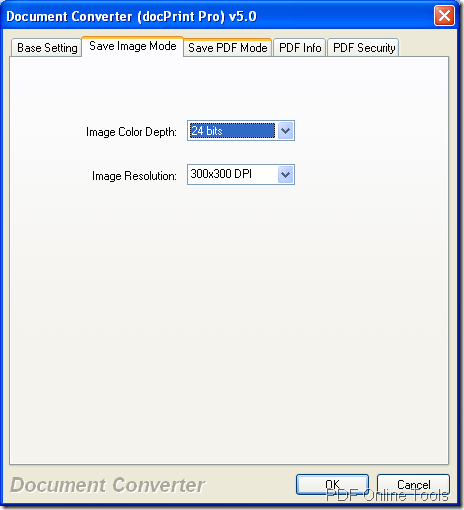 You can also select image resolution in Image Resolution dropdown list. The options in this tab will be useful when you choose output format as image format. You can set the parameters for output PDF document in next three tabs. 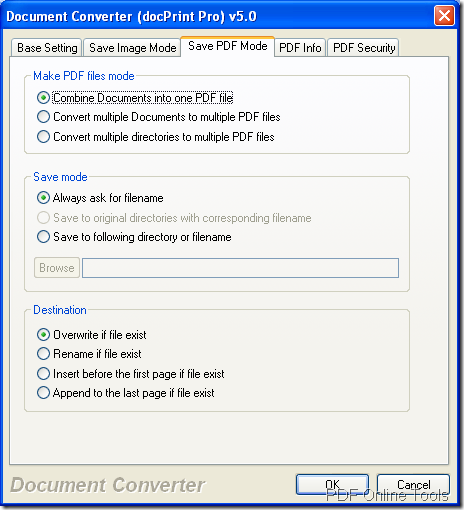 Please see Save PDF Mode tab in Figure 4. 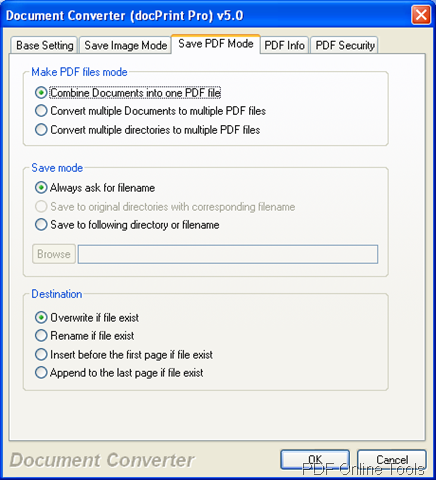 You can choose PDF making ways in Make PDF files mode group box, specify the save mode for target file in Save mode group box, select the destination for newly created PDF document in Destination group box. In PDF Info tab, you can edit PDF descriptions like Title, Author, Keywords, etc. Please see it in Figure 5. To encrypt PDF document, you can set user and master passwords in PDF Security tab shown in Figure 6. You can also check different permissions to allow the created PDF documents being printed, modified, copied, etc. Then please click OK button and click Start button in main interface of Document Converter to run the conversion from DOC to PDF in batches. The conversion will come to the end several seconds later. The executable file doc2pdf.exe in installation folder of Document Converter is the command line called program and you need to call it in MS-DOS interface. Please open MS-DOS interface by clicking Start—Run and input cmd in Open combo box, then click OK button. For learning the usage of the command line application, you can drag doc2pdf.exe into MS-DOS interface to see its usage as shown in Figure 7. There are three examples which are written by following the command line usage. The first three examples are for convert single file. 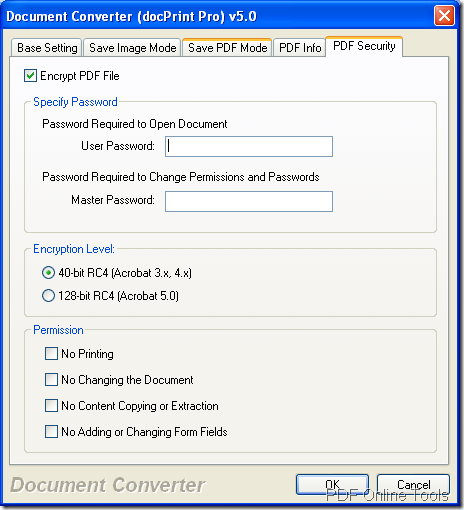 The first one is to convert DOC to PDF and set open password as 123 and owner password as 456. The key length is set as 0 which stands for 40 bit RC4 encryption. Permission is 3900 which means denying anything. 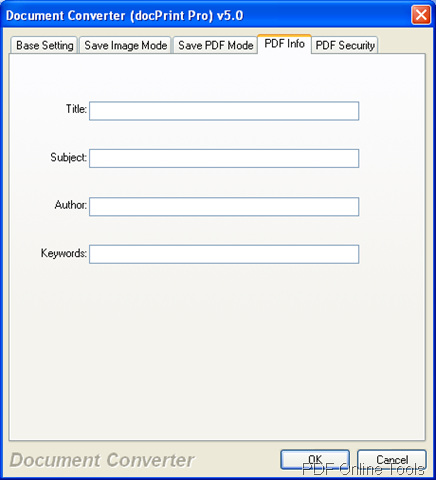 The second one is to convert DWG to PDF file and set PDF author as Author. 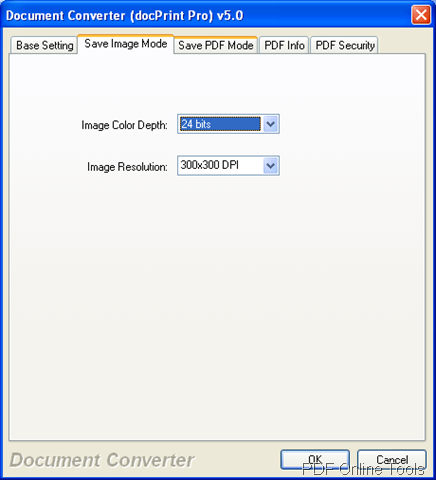 The third one is to convert PDF to TIF format and compress the target file with CCITT Group 4 fax encoding method, set color depth as 1-bit, specify output resolution as 200 DPI. The last example is for converting DOC to PDF in batches. There are more useful information about Document Converter at its homepage. If you are interested in it, just enter the page now!